Jesse coaching actors Tatanka Means and Raoul Trujillo on the set of National Geographic Channel's Saints & Strangers: The Pilgrim Story. Jesse Bowman Bruchac is a Nulhegan Abenaki Citizen. He is a traditional storyteller, musician, and Abenaki language instructor. 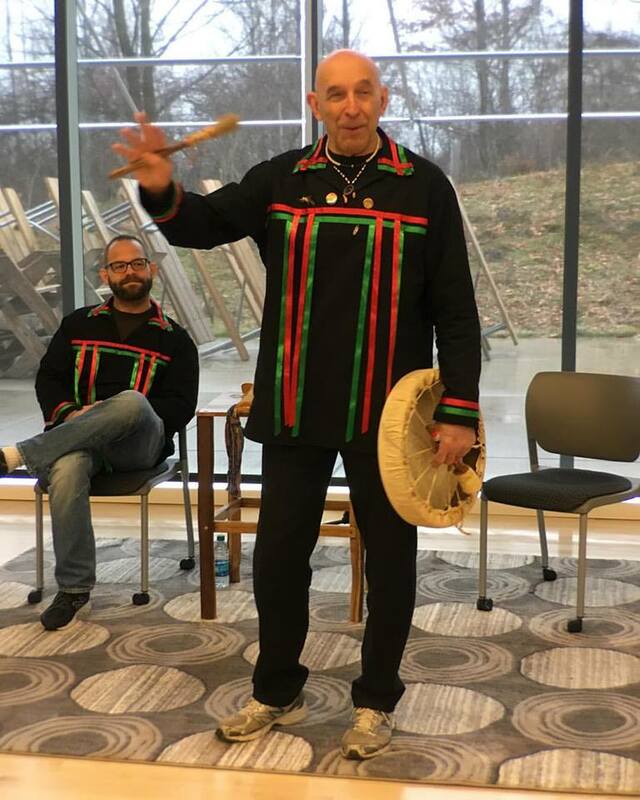 He works as co-director of his family run education center Ndakinna, where he teaches Native American Life Ways, Martial Arts, and the Abenaki language. 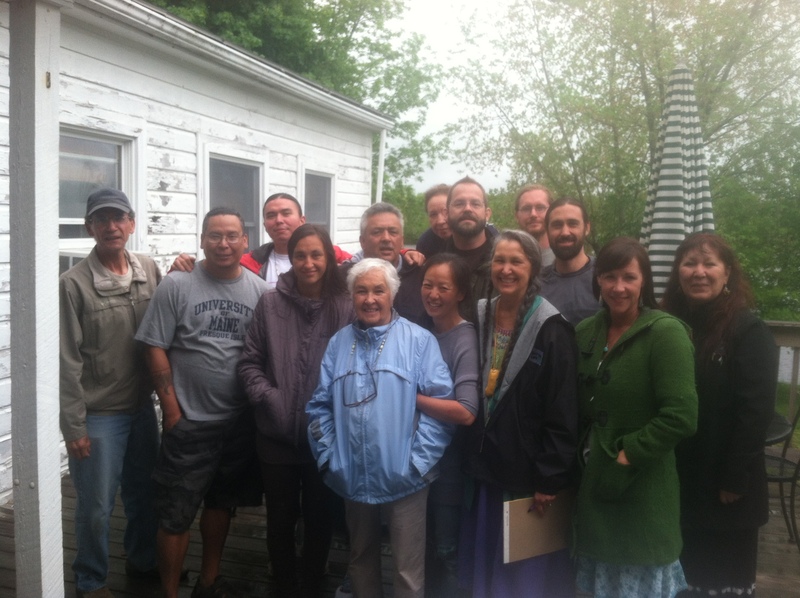 Above: Jesse, linguist Conor Quinn, Abenaki, Penobscot, Maleseet, Passamaquoddy, and Mi’kmaq speakers at a Wabanaki language gathering on Indian Island Maine. In ongoing efforts to make the language more accessible, he created the free language teaching website WesternAbenaki.com, the YouTube Channel, and helps facilitate the Facebook Group. He has also written and published several bilingual books, and recordings in the language. He has lectured at Yale, Harvard, Dartmouth, Princeton, and is currently co-teaching (alongside Conor Quinn) a Wabanaki Language course at the University of Southern Maine. Jesse has also acted as consultant, translator, composer, and language coach for programs on AMC, National Geographic, and PBS. 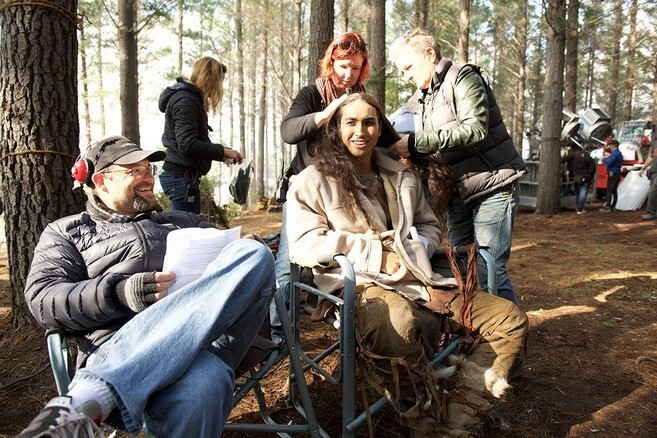 On the set in South Africa between takes with actor Tatanka Means. As a musician he has produced several albums of Abenaki music. These include collections of traditional songs using drum and rattle, and Native American flute music. He has opened for such notable acts as The Grateful Dead, Bob Dylan, and at Woodstock ’94. He won the Best Storyteller Competition at Indian Summer in Milwaukee in 1995. In 1996 he toured Europe as a member of the Abenaki Drum from the Odanak reservation in Quebec. Jesse Bruchac performing at the Ganondagan Historic Site with his father Joseph Bruchac. Jesse began learning stories, songs and language as a child from his father, as well as elders his family would often visit in Vermont, Maine, the Adirondacks, New Hampshire, and Canada. He began studying the language in earnest at the age of 20 from Cecile Wawanolette in 1992. He studied with her, and dozens of other speakers at the Abenaki reservation of Odanak, Quebec for over a decade. He has continued to learn and teach the language with Cecile’s son Joseph Elie Joubert.